Anyone can be an active member of the ESR Consortium: companies, non-profit entities, or individuals can be integrated as guest members and can freely consult any ESR documentation or provide the consortium with valuable feedbacks or suggestions. 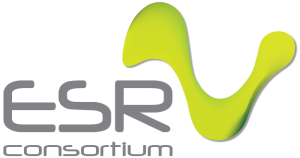 The ESR Consortium is a non profit entity based on democratic rules: each member can be fully involved in the definition of standards for the embedded platforms. It is based on a community of companies, non profit organizations, engineers, and experts. What makes a Software Specification be standard? Learn more about the criteria that make a specification be a legal standard.